Order Bin'Fa, The Deluxe Edition! 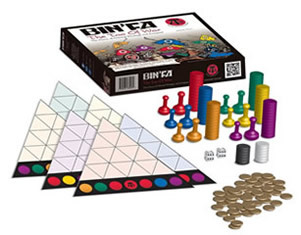 The Deluxe Edition includes a whole new aesthetic level of game play and a new rule! 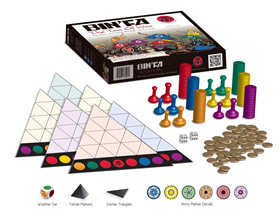 Six sets of unique army markers adds an artistic edge with 3D mountain terrain markers, the Black Vortex Triangles and the new Weather Die to add a new layer of strategic challenge to your gameplay. This new enhancement set adds a three dimensional aspect to the game, providing an engaging and exciting strategic experience.